The summer transfer window for season 2017-18 has come to an end. Football world has witnessed some unprecedented transfer dealings. 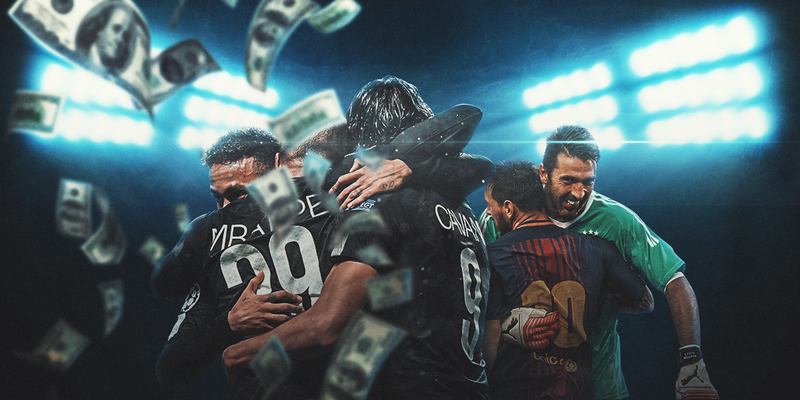 PSG paying €222 million for Neymar, players compromising loyalty to force their way out, an 18 year old sensation Mbappe being sold for €180 million, EPL clubs splashing out €1.4 Billion, a humongous 37% of the total cash spent in Europe’s top 5 leagues combined. UEFA’s FFP rule is getting thrown out of the window here. Inflation in football is a reality and it is killing the spirit of the game. The article on transfer bubble in football had already mentioned the impact of the transfers and how monstrous transfer prices and buyout clauses are not sustainable for the clubs. Eyebrows were raised last season when Paul Pogba completed his £94.5 mn move from Juventus to Manchester United. Despite Pogba’s immense talent, this deal received criticism from football pundits worldwide for the money that was involved. This was just the beginning of a transfer inflation that would affect transactions in the upcoming window. Back in 2016, Manchester United coach Jose Mourinho had rightly predicted “I am pretty sure next summer some players with only half his (Pogba’s) quality will cost the same money.” This summer has proved that Jose wasn’t wrong after all. Transfer prices of this season have made Pogba look like the biggest bargain buy ever. The infusion of Russian and Arab money in European clubs has turned football into more of a business rather than a sport which was dominated by clubs promoting young talent from their youth academies or scouting talent for a fair sum. To name a few, clubs like Ajax and Athletic Bilbao still employ the model of using homegrown players. Barcelona under their Cruyffian philosophy were one of the biggest flagbearers of promoting academy players which resulted in them dominating European scene over last decade. Even they seem to have abandoned their model, governed by an incompetent management. This summer the exponential dealings ensued when players were valued for unreasonable sums. Jordan Pickford and Ederson, who are yet to represent their country, were bought for £30 million. Manchester City paid £56 million for full back Mendy. Lukaku was bought for £75 million by Manchester United and a 18 year old Kylian Mbappe who has had a half good season is valued at €180 million. This reached a peak when Neymar completed his move from Barcelona to Paris Saint Germain for a mammoth €222 million. Barcelona would have never thought that anyone could dare activating Neymar’s release clause of €222 million that was put in his contract. Leaving aside the money, deciding to move from a club like Barcelona to PSG was incomprehensible. Make no mistake, Neymar is an incredible talent, one of the world’s best only behind Messi and Ronaldo. Very few will disagree on his talent. But PSG have bought Neymar the brand rather than the player to propel themselves into the elite football club category. Another issue that has plagued world football is players abandoning their parent clubs and going rogue to force their way out in hope of better opportunities and lucrative deals. Gone are the days when players used to go to the coach or club official, explain the reasons for unhappiness. Diego Costa this summer publicly announced his desire to leave Chelsea, Van Dijk refused to train at Southampton, Sigurdsson, Alexis Sanchez, Phillippe Coutinho didn’t travel with their squads for pre-season amid transfer speculations putting forward wayward reasons. Players loyalty is under question even after clubs inserting loyalty bonuses in their contracts (Neymar case). This not only damages their relations with fans but also destabilizes the atmosphere amongst their colleagues. Foreign owners and investors are here to stay. Bayern Munich have taken the first steps to counter this transfer unbalance. They unveiled a state of the art €70 million facility this summer to counter skyrocketing prices. Reinstated president Uli Hoeness stated that the new FC Bayern Campus will also provide an answer to the current transfer happenings through optimising the development of young talent. Owing to the Premier League TV rights deal in which all revenue is split equally amongst the 20 teams, Sunderland who finished 20th in league, earned more than German Champions Bayern Munich. Corporations are taking away the traditional beauty of the game. Traditional Football’s struggle for survival could go on and this could just be the beginning.